Several Google Pixel & Pixel 2 users reported battery life problems after updated to android Pie 9.0 OS. 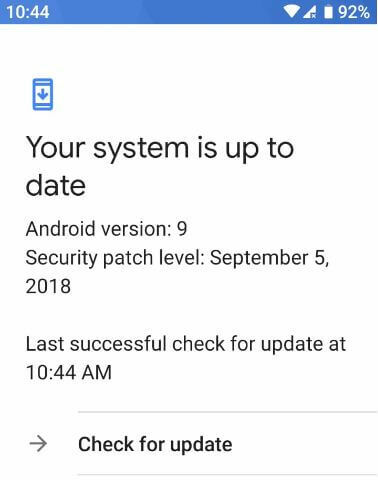 Google confirm to fix this android 9 Pie fast battery charging issues after next system software update. You’ll use android 9 Pie’s new adaptive battery & adaptive brightness features to extend battery life. Let see process to fix fast charging issues after android 9 Pie update. Android 9 Pie update on Some Pixel, Pixel 2 and other users facing different problems such as camera issues, Android 9 Pie gesture control, fast battery charging, Wi-Fi & Bluetooth issues and more. But in this tutorial, I’ll show you possible solutions to fix fast charging issues after android 9 Pie update. Wait until system software update available for your Google Pixel, Pixel 2 XL and other devices. You can check for update using this setting. 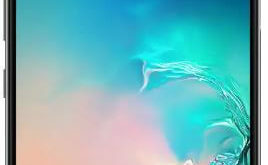 You can improve battery life on android 9 Pie using below given methods until receive system update to fix fast charging issues after android 9 Pie update. 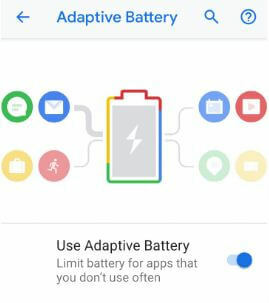 Android Pie 9.0 includes several new features that useful to save battery life such as Adaptive battery, Adaptive brightness, Digital wellbeing for set app time limits and more. It will useful to limit battery for apps that you temporary use. Also restrict apps that have been using battery in the background. 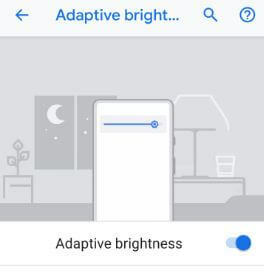 Automatically adjust brightness level in your device for available light. If you don’t like this feature, you can manually set brightness in your android Pie. You can use battery saver, turn off phone vibration, use dark theme and other settings to save battery life android 9 Pie devices. Did you find above methods useful to fix fast charging issues after android 9 Pie update? If you found it helpful, don’t forget to share with others. Do you have any alternative tips to share with us? Tell us in below comment box.